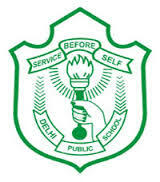 Promoted in the year 2011, Delhi Public School Rajnagar is a co-educational day school affiliated with the Central Board of Secondary Education (CBSE), New Delhi. The school operates under the aegis of Delhi Public School Society and offers education from Kindergarten through class XII. The school aims to ignite and unravel the dormant potential of children, kindle their curiosity to fathom the mysteries of the universe and create new knowledge while familiarizing them with the existing one. Morta Village, Ghaziabad, Uttar Pradesh 201007. Are you Interested in Delhi Public School Rajnagar.